Advertising was once a huge part of society. Culturally, adverts took centre stage in commercial breaks and on billboards. They featured famous characters and presented a polished image of a product. Over the years, marketing campaigns have changed with the times, singing a different tune when consumers call for it. Once, commercials were key sales pitches, encouraging consumers to go out and purchase. But, as time moved on and people became less receptive to the selling game, they moved into the realm of storytelling. Heroic tales replaced the “buy now” mentality, but things are still changing further. In an age where anyone can start a business online and make a success of it, consumers want stories they can relate to, not stories that offer a sense of escapism like the latest best-selling novel. 38% of people want to hear stories about regular people and brand customers, whereas only 19% want to hear about celebrities or employees. That means marketing campaigns must move from the idea of selling something fictional through polished prose and dreamt-up characters to non-fiction, where they tell real-life stories from real-life people about real-life subjects. “Great content will and engaging stories will attract and appeal to consumers irrespective of whether a brand is obviously behind them.” – Steve Sponder, Managing Director of Headstream. In the past, careful time was spent crafting fictional characters to represent a brand; creating a polished image of the product and its results in an attempt to drive sales. The idea was to show consumers what their lives would look like if they took the plunge and bought. Today, however, marketing is more raw. It focuses on people selling to people, rather than brands selling to people. So how did this evolve over time? In the mid-20th Century, emphasis was placed on creating fictional stories around products. 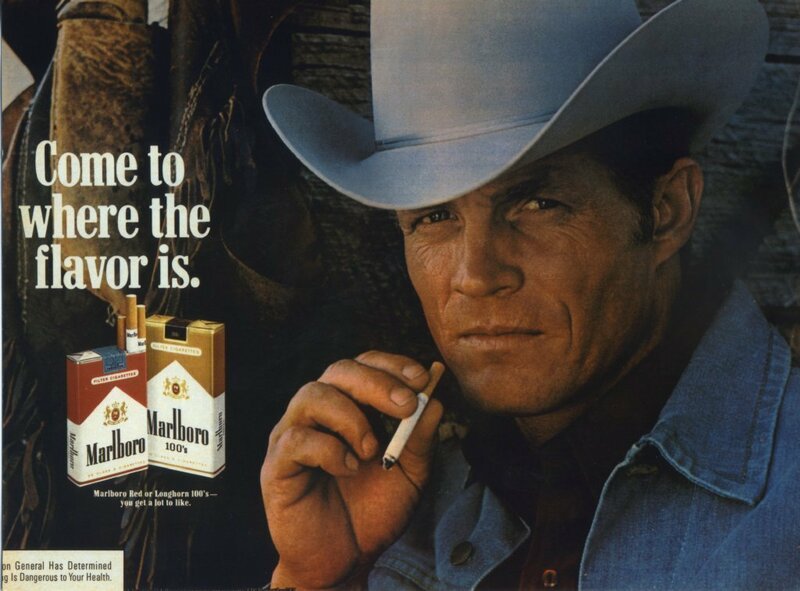 Take Marlboro Man, a fine example of a character created to promote a product. Hathaway Shirts employed a similar tactic when they brought Ogilvy on board to recreate their marketing campaign. David Ogilvy knew he needed to do something out there to differentiate this brand from other t-shirt companies hitting the big time, so he placed an eye-patch across the model in the print ads. The result created intrigue around the man – who was he, and how had he come to lose his eye? 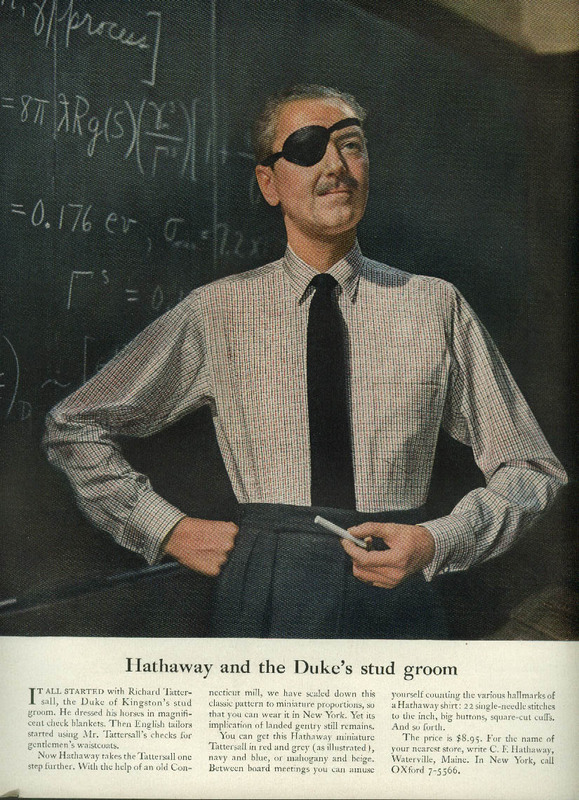 Without the eye-patch, the campaign would have been just like any other t-shirt ad, with a well-dressed model against a white background. Instead, Ogilvy helped craft this fictional story around the ad, drawing in curious consumers. Today, consumers are looking for stories they can relate to, not stories that show curious characters they have no connection with. So, while eye-patch man and Marlboro Man might have worked in the mid-1900s, they probably wouldn’t have seen such success in today’s advertising landscape. Rather, we’re now seeing the emergence of brand stories that focus on everyday people, not celebrities or fictional characters. To do this, Expedia enrolled real-life people and real-world travelers to share their story about how travel has transformed their lives. The real-life stories were shared across social media, through travel bloggers, and on a live TV spot. They even ran an accompanying competition encouraging consumers to send in short videos of how travel has changed their lives. This shift from fictional to non-fictional advertising highlights the rise of authentic stories in marketing campaigns, something that’s hugely important in an age where consumers have more power and more choice over what they buy and who they buy from. In the past, brand stories were highly polished by the marketing team which meant, by the time they aired to consumers, they were about as real as Hogwarts. They were commercials disguised as stories in an attempt to appear authentic and relatable. But people were clocking on. 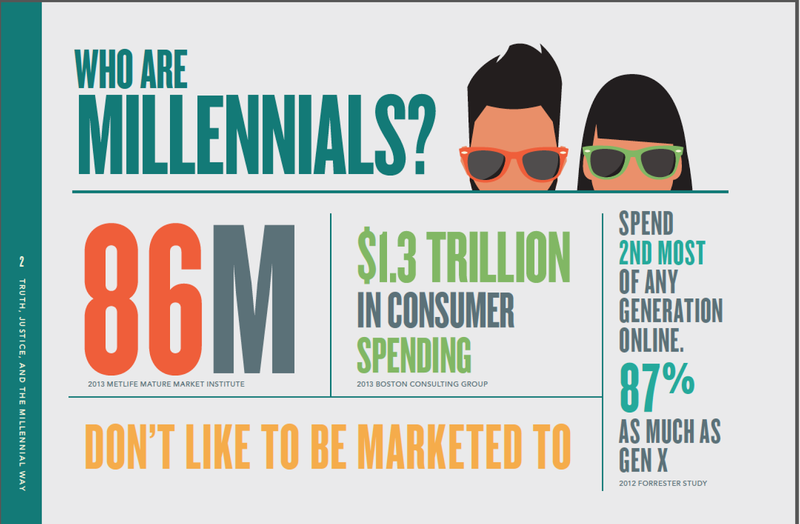 Now, it’s difficult for brands to produce this kind of polished marketing when 9 out of 10 millennials don’t trust advertising in the first place. This age range is quickly becoming the most important consumer group and they hate being sold to. They can smell out a wolf dressed in sheep’s clothing a mile off. What is an authentic story and why are they important? Authentic stories are snapshots of a moment as they happen. They haven’t rigorously been through narrative checks and edits until they’re unrecognisable. They’re raw and instant. The rise of apps like Snapchat and Instagram Stories have made it much easier for brands to share real-time stories that instantly connect with consumers. Take GoPro, for example – a brand who excels at sharing snippets of moving moments. Their video showing a fireman saving a kitten didn’t have anything to do with their product, but instead it showed it in action, sharing a real-life story that touch the hearts of millions of people. It’s really easy to tell when a commercial has been scripted, right? That’s the beauty of authentic stories – no one has been told what to say. Instead, they are natural, sharing un-edited stories from real people, not glossy models who have been told what to say and how to say it. It’s difficult to buy into something a glossy model who we can’t relate to is saying. Why should we believe them when we know that they’re reading from an autocue? Authentic stories on the other hand build a deeper connection and make brands more relatable, more real. In turn, this grows a loyal community and helps boost sales, because people buy into things they trust and that they believe in. And guess what? 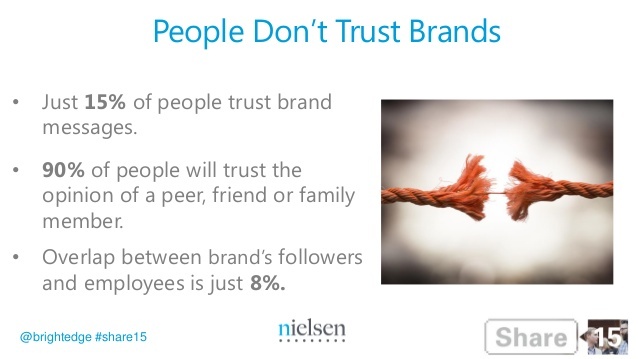 People no longer trust brands, they trust people. They are more likely to buy from a brand they can relate to and that shares the same moral standing and values as them than one that doesn’t. It’s all well and good me telling you that you need to go from creating fictional marketing campaigns to creating non-fiction ones, but how exactly do you do that? The main thing to remember is that, as long as you focus on your customers and their needs, you’re already on the right track. Instead of creating new, polished stories, use the thousands of stories that are already out there. Let your customers share their ups and downs, let them show new customers how their lives changed once they used your products. This is essentially a new form of word-of-mouth marketing, albeit in online in this internet age, and word-of-mouth is still a hugely important marketing technique (even more so, really, now that everyone seems to be selling something). The rise of User Generated Content (UGC) has been a godsend for brands who are now able to curate stories from their customers in real-time and all in one place. 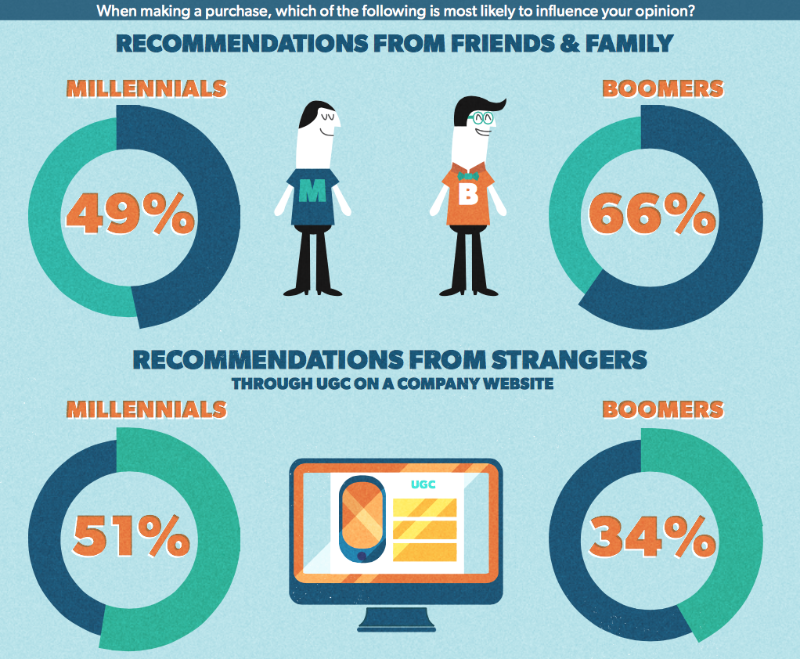 Over 50% of millennials admit they use UGC to determine purchase decisions about major electronics, while 84% say that seeing UGC on a company website has an influence over what they buy. Those aren’t numbers to ignore. By implementing snippets of stories from your customer’s lives, you can show future buyers how your products have helped solve their problems. This is ten times more powerful than simply stating the benefits of your product via the traditional ad format. Let’s look at one final example from then and now. 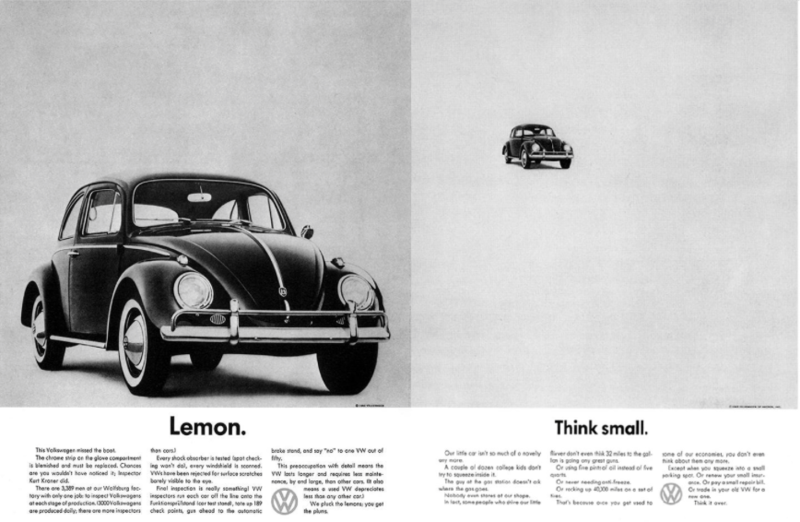 Volkswagen’s “Think Small” campaign was a huge hit in the 1950s. It essentially showed a print picture of a Beetle and played off the quirky idea that the car was much smaller than many others out at the time. A whole narrative had been built around this idea that, yes, the VW was small, but it was still a good car. Fast forward to today, and VW have changed their tack entirely. 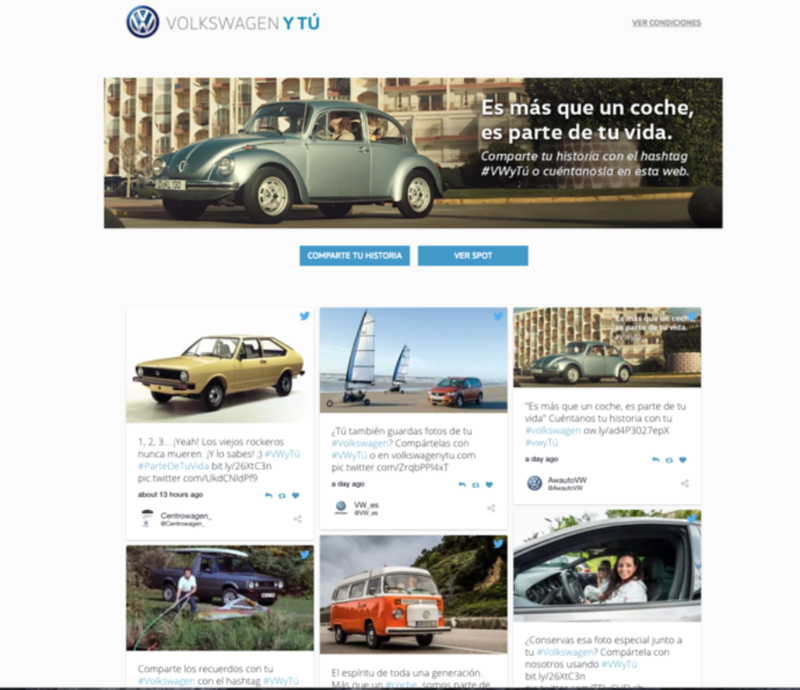 Using UGC and TINT, they have created a space to share their customer’s stories in one place, drawing in Tweets and visual content that tells a real story. As you can see from this example alone, advertising has changed considerably over the past fifty or so years. Brands no longer focus on themselves. Instead, they are bringing their customers into the picture in a collaborative, community-centred approach which has taken marketing campaigns from polished, fictional stories, to non-fiction that revolves around real people and real-life stories. 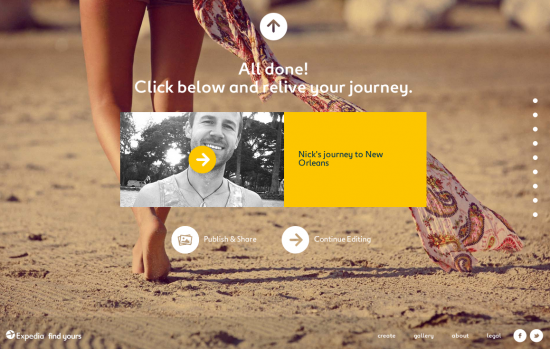 Want to learn more about how to get started with User Generated Content? Drop us a line for a free strategy session!